Over the last ten years, I’ve heard many personal stories about what my friends and family felt during and after the tragic events of 9/11. And today, in one way or another, you’ll probably be sharing stories of where you were and what you felt when you heard the unbelievable and shocking news that the World Trade Center Towers had been attacked. As I think about all the 9/11 stories being shared today, I’m reminded how many of the ones I’ve heard include details about how concert venues all across the world became unlikely shelters of comfort, support and cathartic solidarity. I wasn’t at a concert right after 9/11, but I imagine such a scene would be similar to what it was like at Rock The Bells after Michael Jackson died. For me that concert was a very odd, uncomfortable and awkwardly sublime mix of mourning, entertainment and escapism. And to continue our exploration of how traumatic and emotional events like 9/11 define our concert experiences, I’d like to share with you a 9/11 live music story. This story was originally posted as a response to our Joy, Grief and Community Experiment by our friend Mike Philips who explains how a post 9/11 PJ Harvey concert experience helped him to process and cope with the confusing mix of shock, sadness, grief and guilt. It’s no easy task to describe what you feel during such a palpable moment. But nonetheless, as you’ll see, Mike does a great job of taking us back to the scene. One of my favorite things about his story is his honesty in expressing the emotional complexity of the moment. A complexity that I’m sure we can all relate with on many levels. So without further ado, here’s Mike’s story, followed by an invitation to share yours. What’s Your 9/11 Live Music Story? We thank Mike for sharing his story and now we invite you to share yours. Were you at a concert right after 9/11? How did that show help you grieve and cope? How was that concert different than other concerts you’ve been to? Did that experience change the way you think about live music? Let us know what you thinking in the comments below and we’ll share your feedback during a future episode of Live Fix Radio. 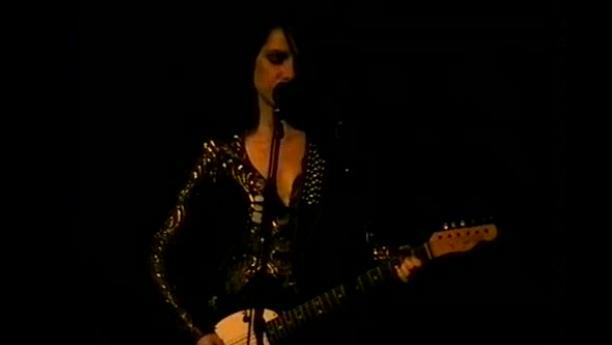 Note: The video is from PJ Harvey’s show in New York on 9/8/11 via gardenfiles. It was the closest I could get to Riviera show. But if you have video of 9/13 concert let us know and we’ll post it up. I was at this PJ Harvey show and it was no doubt the most emotional show I have ever experienced. During “Big Exit” when she sang “this world’s crazy, give me the gun” I think everyone in that room, including PJ, felt the power of those words at that moment in time. It is the only show I have seen where everyone paid attention to the art in front of us without distraction, and in return all of us were moved beyond description. Thanks for sharing your story. And what a great story it is! It’s amazing to think how much that show changed and impacted PJ and the fans at the same time. Have you ever read any interviews where she talks about her feelings during that show?